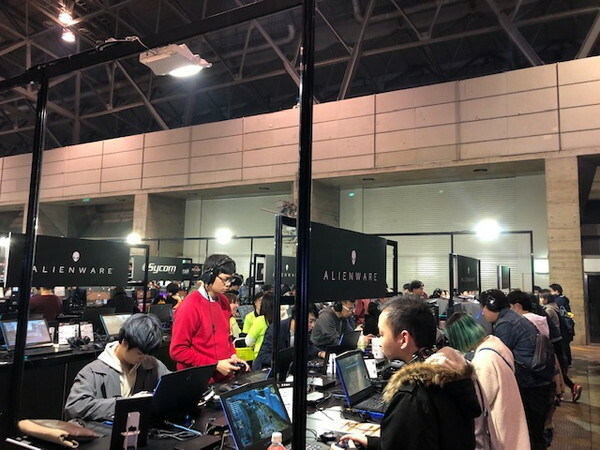 Zhexos here, finally back from a Fan Festival in Tokyo and PAX East 2019 in Boston! 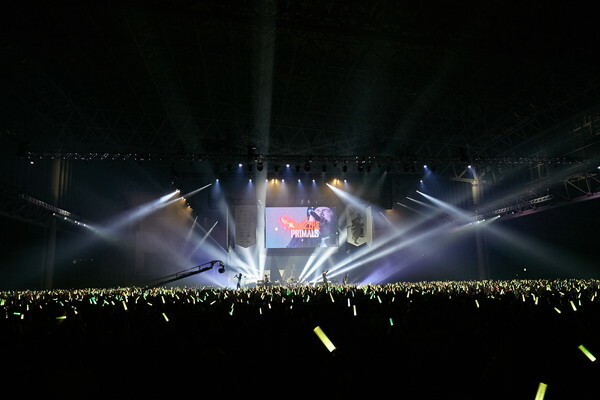 Today, I wanted to share some of the photos that our counterparts in Japan took during the Fan Festival. It's a lot of scrolling, but we hope you enjoy the peek into many aspects of the show! 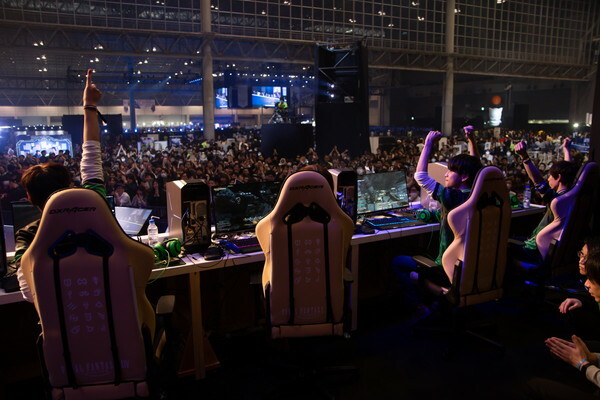 The Fan Festival in Tokyo took place in a convention hall called the Makuhari Messe located in Chiba, Japan. And boy, was it ginormous! It started out as a lifeless, empty hall with nothing but concrete and a ceiling, but our crew soon filled the area with life. All sorts of sections were built in the blink of an eye. 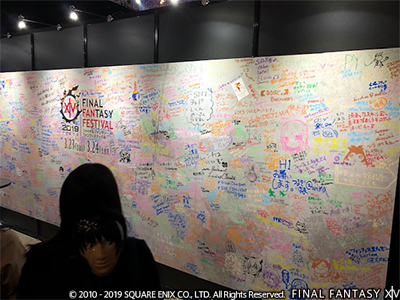 The main stage, secondary stage, all the in-game activities, carnival activities, art contest galleries, Eorzea Café/Kitchen, and various photo areas were also set up. 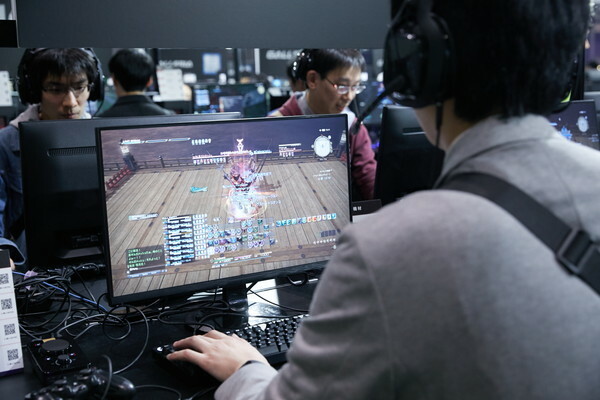 Here we see our Global Community Producer, Toshio Murouchi (a.k.a. Morbol) turning himself into a wind-up Warrior of Light. 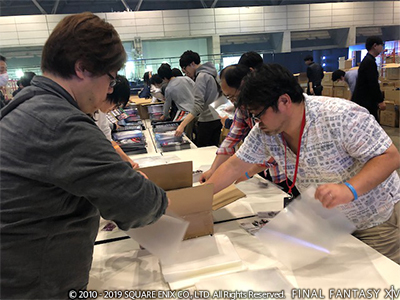 Everyone, including the development team, jumped in to help pack the goody bags for all of our attendees. 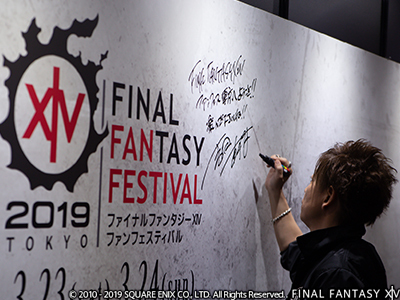 To complete the preparation, we had Yoshi-P pen his name on the signing board! 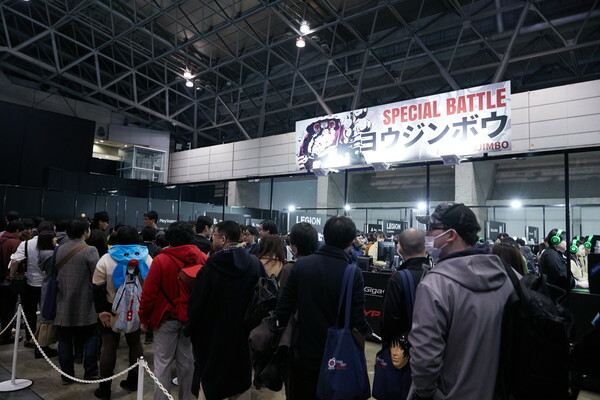 The doors to the hall opened and the Warriors of Light came flooding in. 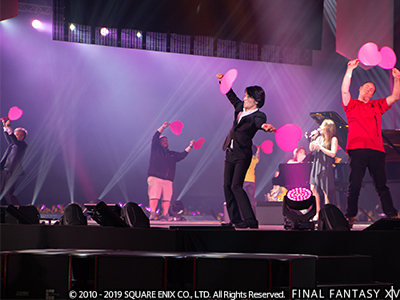 We kicked off the event with the most anticipated stage event, Yoshida's Keynote Address! 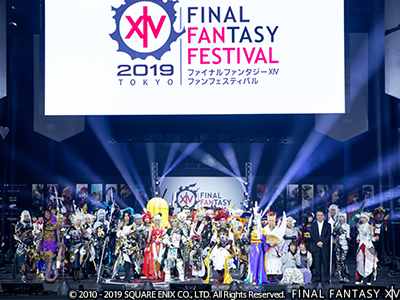 We revealed information regarding Shadowbringers throughout our Fan Festival events in North America, followed by Europe, and finally here in Japan. 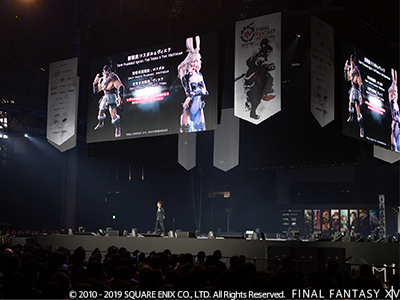 The crowd throughout the hall and those watching our live stream across the globe were very excited as we revealed beautiful new areas and the dancer in the full trailer. 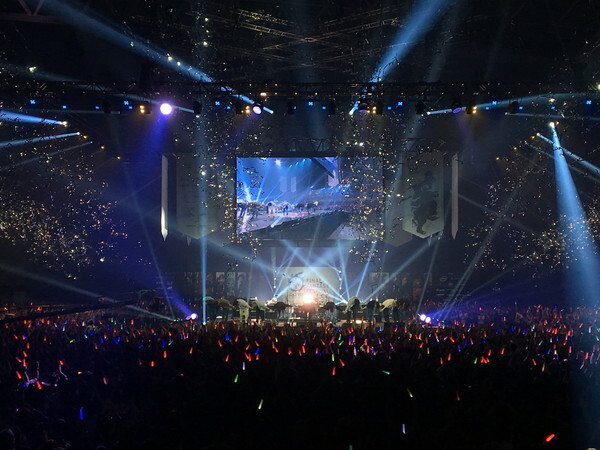 We also took a different approach this time with how the stage was arranged. 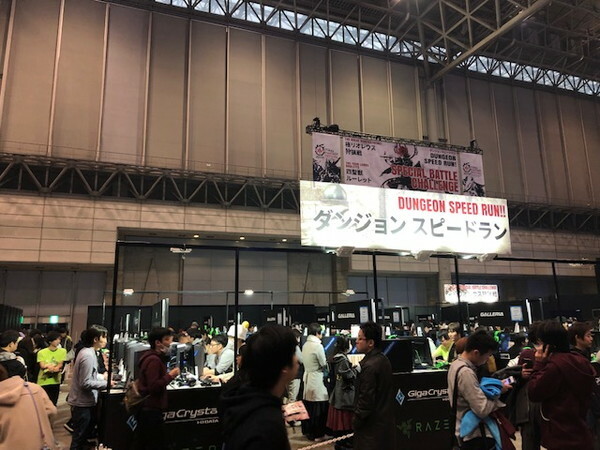 We've set up the stage is located in the center of the hall, connected by a walkway so that the stage is viewable from every angle. 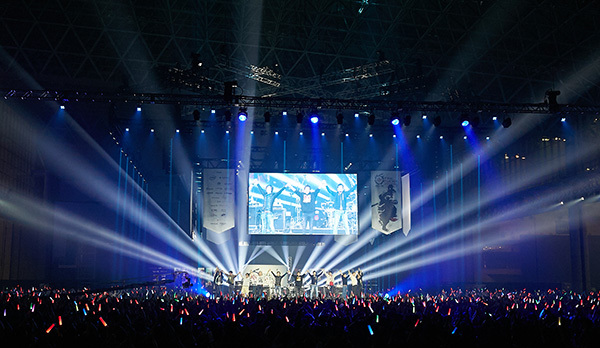 Here's a shot from the side during our opening ceremony. 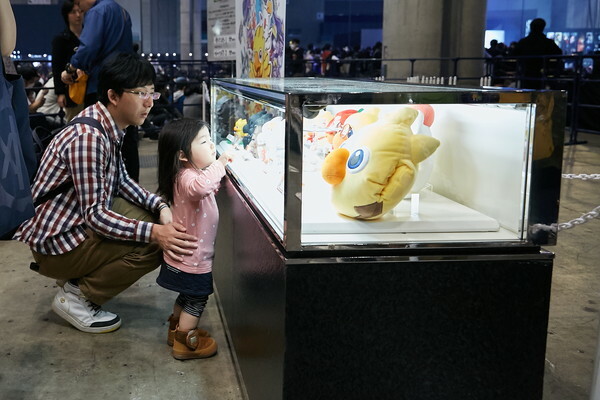 Now let's check out what other things they had available at the show. 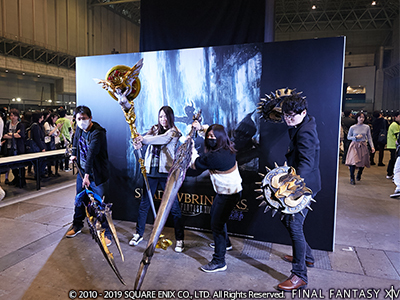 At this photo booth, players were able to equip and pose with some of their favorite weapons. My favorite (not shown here) was the kettle! 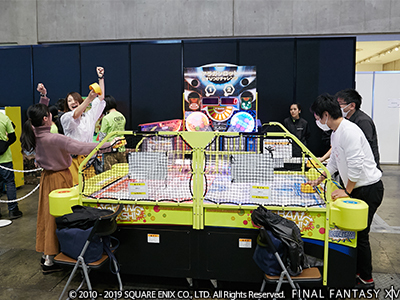 They had an air hockey game and named it Allagan Rot, because you know, you have to constantly pass it around. Clever! 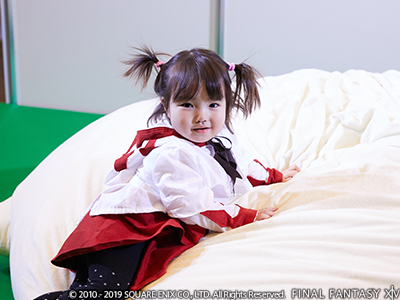 Hard to tell by this image, but this little girl is on top of a humongous moogle cushion. It was so fluffy! 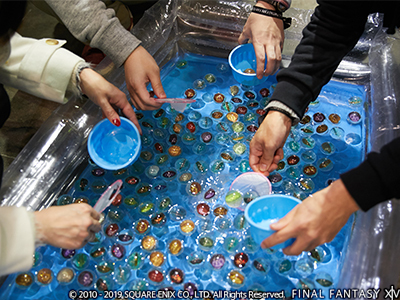 This is a photo of a classic Japanese festival game where you scoop up balls from the water using a paper scoop. The paper is very thin and requires some skills to scoop up the ball without getting the paper too wet where it leads to tearing. We had a go at it before the attendees came in and we weren't able to catch any... These balls had job icons and meteor logos on them. 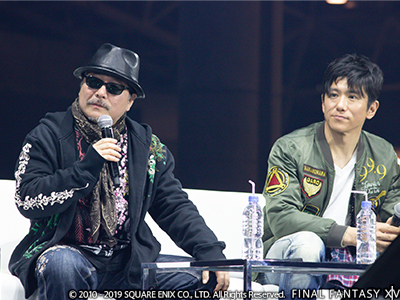 Here's a rare shot of Yasumi Matsuno (right) who was the guest creator for the Return to Ivalice series and Toshiyuki Itahana (left) who designed Alpha! 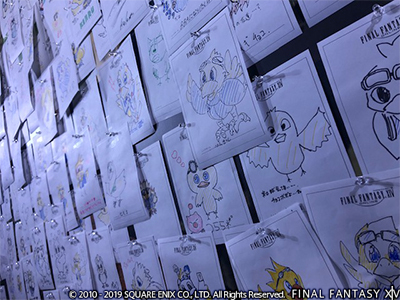 Everyone had a chance to draw their very own Alpha! Our signing board was getting full really qui... Wait a second, what's that!? Asahi!? 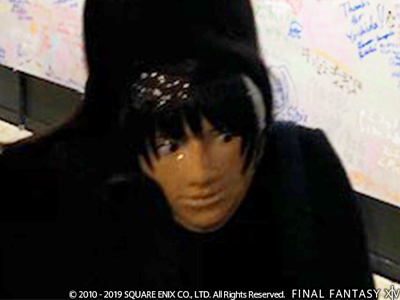 This was one of the masks you can get! The love for Asahi in Japan is strong! 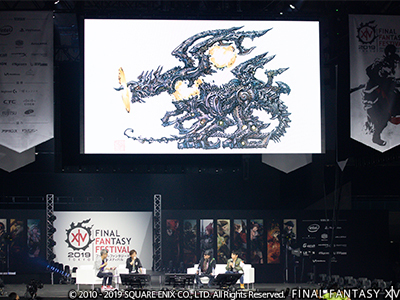 Let's go back and check out what else was shown on the main stage shall we? 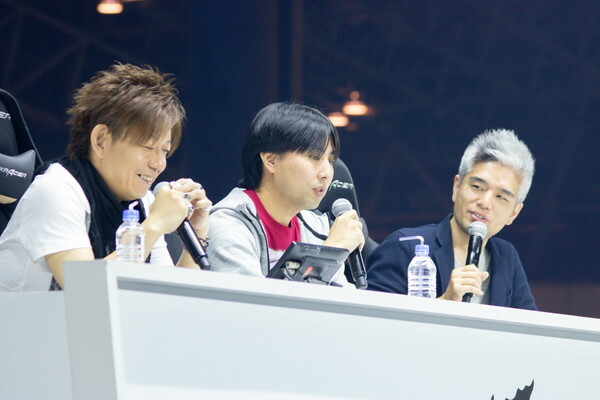 Various guests made an appearance during the "Welcome to Naoki's Room" segments where they could casually talk with Yoshi-P about the game and other topics. 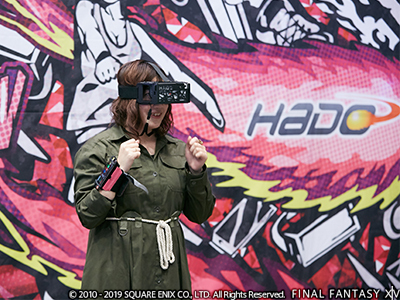 And don't forget the Cosplay Contest! 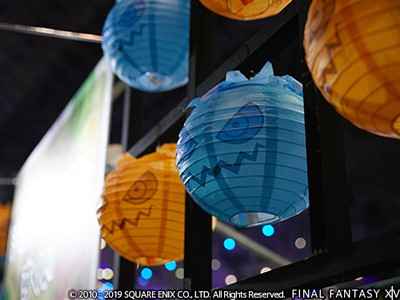 This goes for every region, but the crafting skills of our cosplayers are getting higher and higher every year and it's amazing! 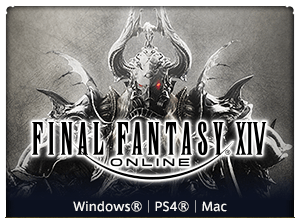 We loved seeing various characters from Stormblood and some very unique characters such as this cactuar here! Our staff members had to take a shot with this loveable character. And finally, the first day of Fan Festival in Tokyo wrapped up with a very special live piano concert featuring Susan Calloway, Keiko, and Tsujimoto who performed the shakuhachi instrument, which brought a very special Japanese-like ambiance! 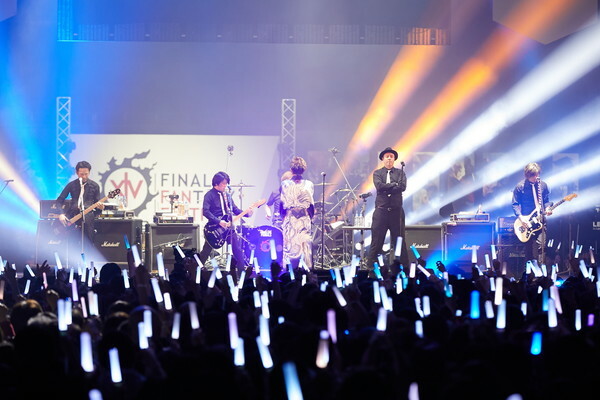 Here we see Soken, Koji, and Matt! Wait, what. 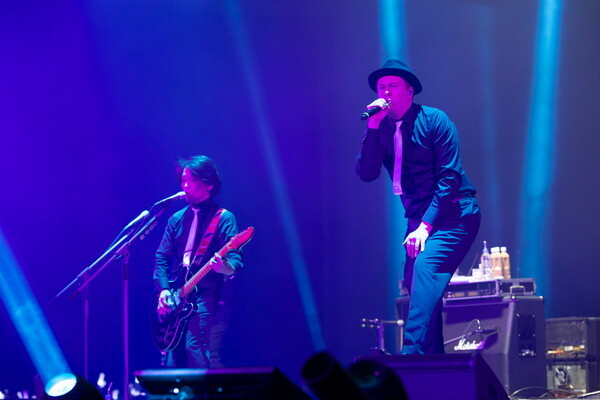 What are you doing up on stage!? Guess he was seduced again by the beautiful Lakshmi's song sung by Susan! 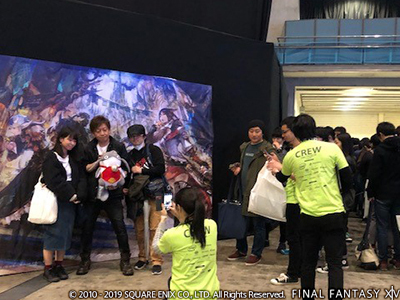 The second day of the Fan Festival in Tokyo kicked off with the Letter from the Producer LIVE! Can you believe it? 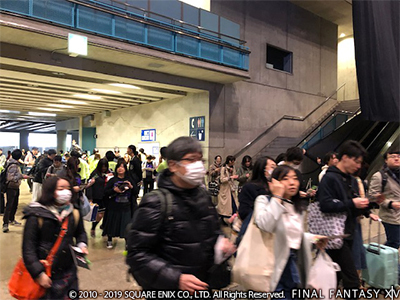 This was our fiftieth installment of the letter live, and it just happened to be at the Fan Festival in Japan. As someone who has been following since the very start, I'm amazed at how far we've come. 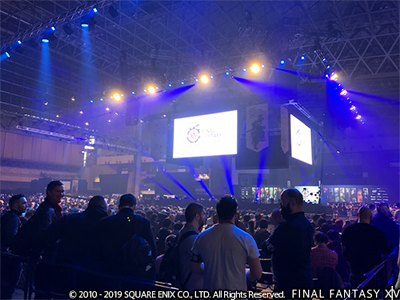 In the fiftieth letter live, we were joined by our World Lore Creator and Main Scenario Writer Banri Oda who answered some questions related to lore and what goes into creating the vast story behind FFXIV. In the latter half of the show we had a very special announcement. 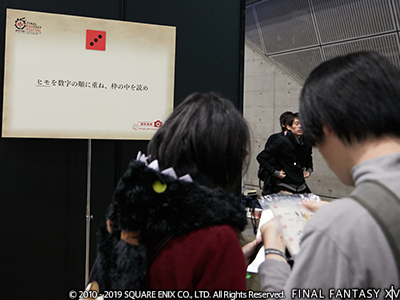 We've announced that Dad of Light will become a movie! This was very special announcement for our Japanese audience and we've also invited the leading stars from the movie to talk about the upcoming movie. 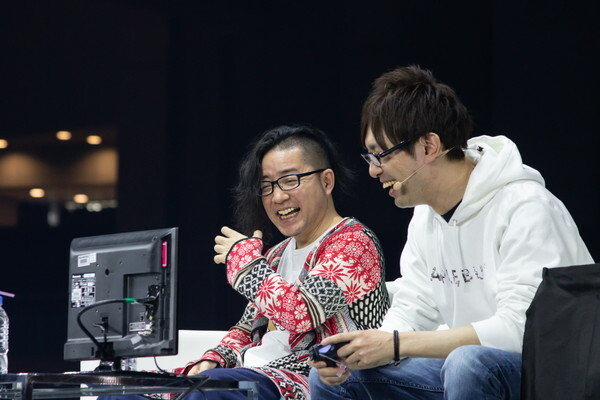 We've had other special guests join the main stage to discuss various topics in Welcome to Naoki's Room as well. 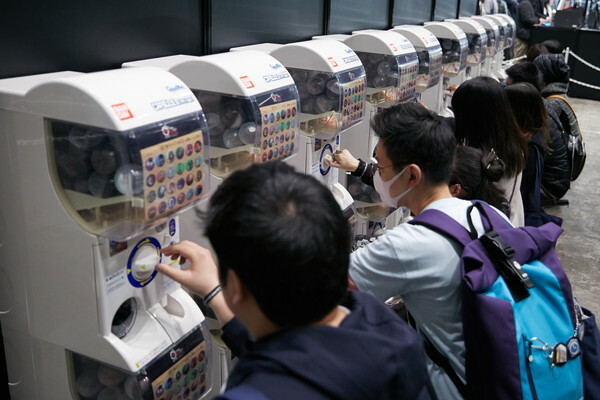 The merchandise and gashapon machines were also packed with attendees! 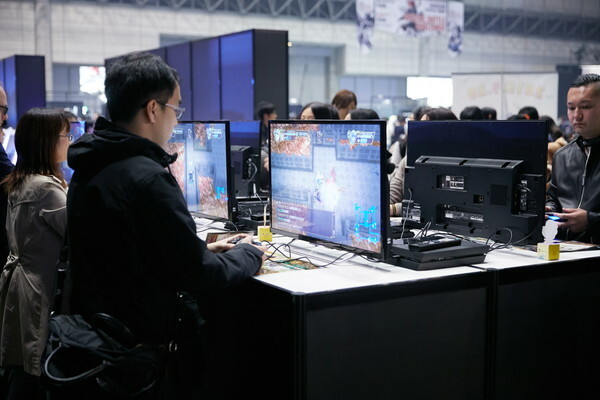 In-game activities included dungeon speed runs, the Yojimbo special battle, and the Great Hunt (Extreme) challenge. 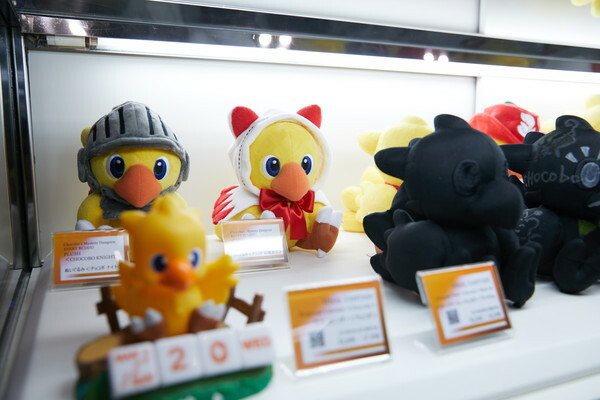 We also had a section where players could try out Chocobo's Mystery Dungeon EVERY BUDDY and Dissidia FINAL FANTASY featuring their new character from FFXIV, Zenos yae Galvus! We also had a cute little section featuring some of the collaborations we've done. 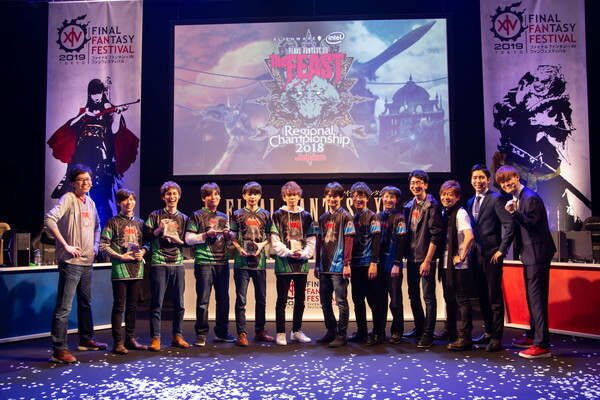 Last but not least, we've also held our FEAST Regional Championship 2018 Japan Finals at our secondary stage to determine our very first champions in the Japan region! 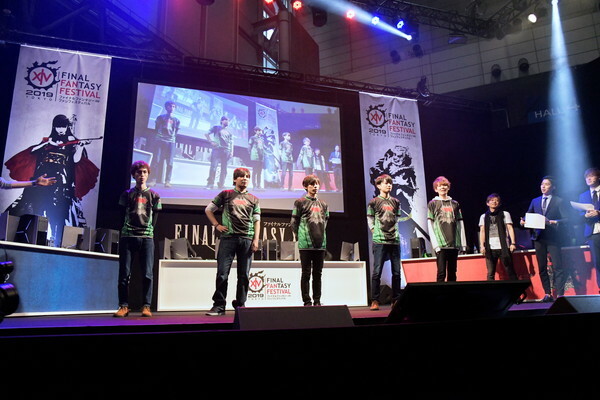 The matches between the top two teams were very intense as well as the crowd cheering them on were very energetic! 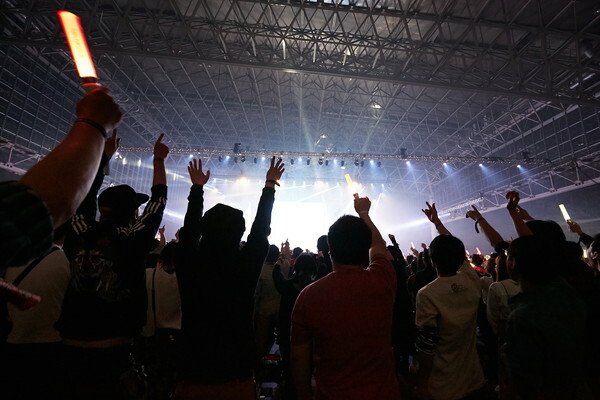 The sun has come down and it was soon the end of the fun two-day Fan Festival event in Japan. 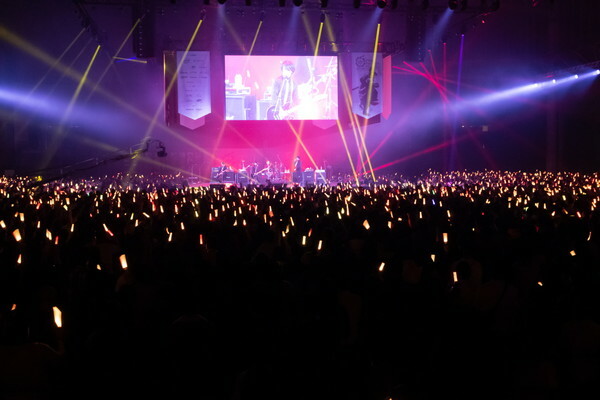 The lights dimmed in the hall, the attendees grabbed their light sticks, and it was time for the final stage event, the rock concert performed by THE PRIMALS! 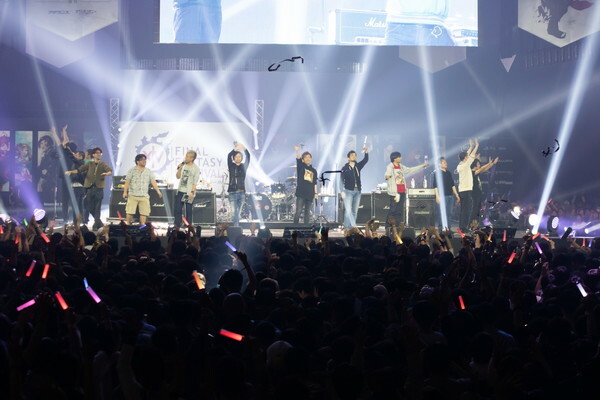 Yoshi-P was brought up on stage as a special guest singer for this event as well, but he arrived in style. 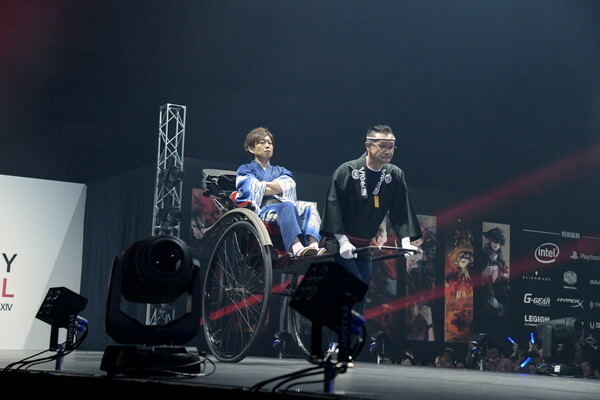 Not only wearing his special Byakko kimono, but pulled up to the main stage in a rickshaw! 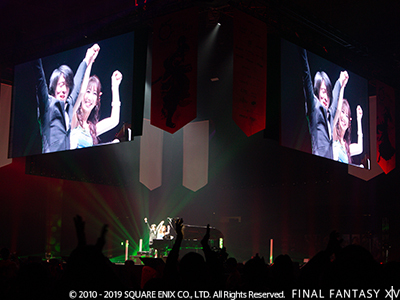 Yoshino Nanjo, who voices the Japanese version of Suzaku, also joined the concert to sing the Suzaku and Tsukuyomi songs. 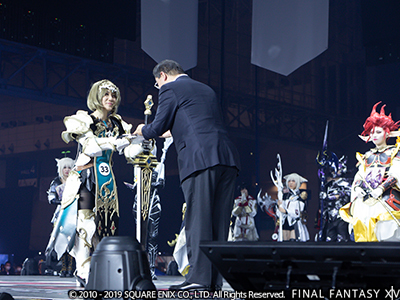 THE PRIMALS were fueled by the amazing energy of our Warriors of Light till the very end. The whole Development and Operations teams are very proud and appreciative to have such an amazing community across the globe. 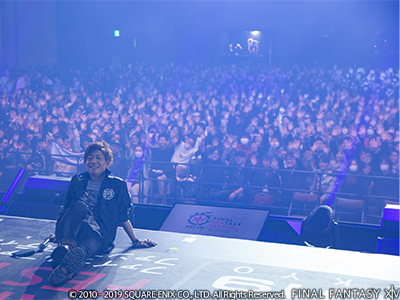 We thank you very much for getting us this far and we will try our very best so that we can once again see you all in the future!